Whether you're 2 days into a 10 day trip, or 6 hours into your 8 hour day of pedaling, you'll be happy that you've got the Revelate Designs Mag Tank keeping you fueled. With a secure, easy-access closure that keeps your trailside nutrition handy. 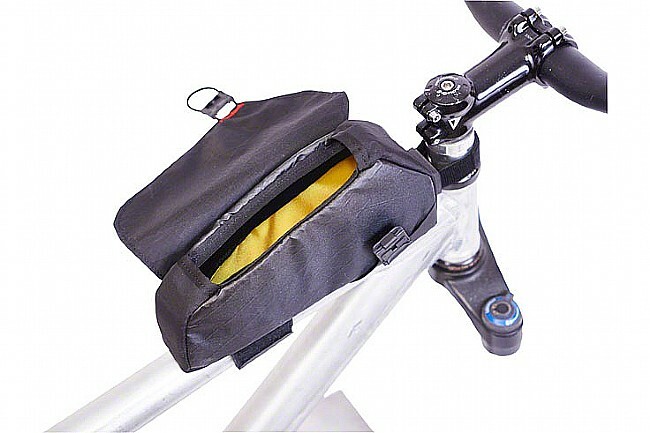 Rejecting the standard zippered closure for toptube bags, the Mag Tank uses a large water-resistant flap that sheds off water, spray, and other undesirable elements, utilizing a unique magnetic-assisted mechanical buckle to keep your cargo from spilling on the trail. Please note - while the cover to this bag is designed to shed rain and spray, due to the large panel opening it is not a sealed bag, and as such, not a truly waterproof bag. Side panels stiffened with HDPE plastic sheets. Wrap around panel is padded with closed cell foam. Interior lined with yellow fabric for greater visibility. Adjustable height daisy chain front attachment with a spacer block to clear stem clamp bolts. 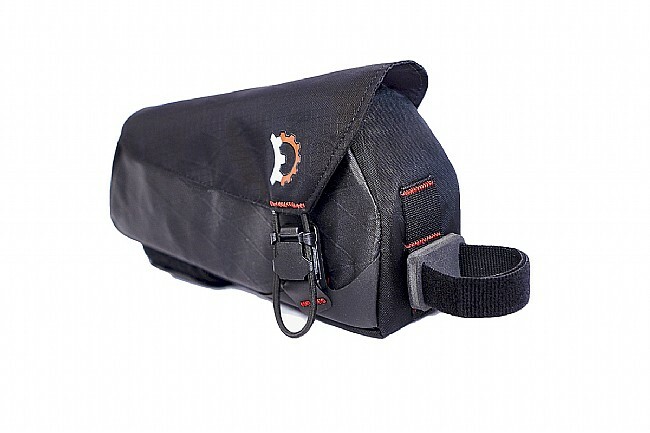 Beefy top tube strap has gripper material with double back wrap for bomber stability. 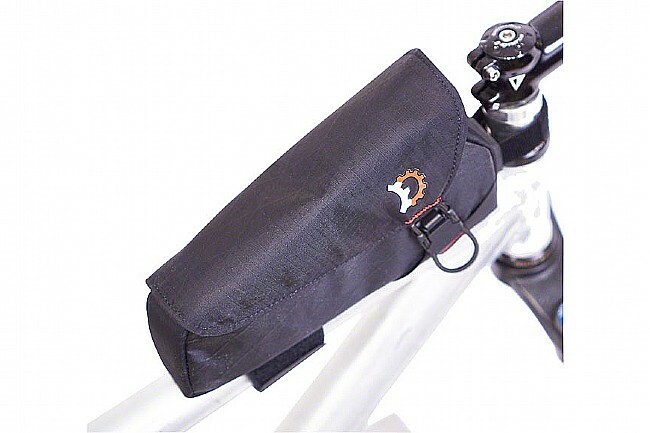 Great top tube storage bag. Bag is mounted on my Trek Remedy 9.8. Perfect size to carry my cell phone, a few tools, and energy bar. The magnet buckle secures the pouch's content and contents are easily accessible. Bag is well constructed. I highly recommend this product. Well constructed and super easy to access. A pretty well thought out case. Very easy to access while riding and so far there has been no water intrusion, althought I have not ridden in a downpour. Highly recommend. Fits securely on the top tubehead tube,very handy for small food items,tools,bear spray,ect...quick and easy access,great product! This little bag is a winner. This was a gift for my husband who is an avid bicyclist. He has two bikes and I could see him rotating his toptube bag back and forth between bikes. I tried to replicate the one he has but it seemed to no longer be available so I shopped and shopped for just the right one and he is very happy with this Mag Tank. It is just the right size to hold his phone and few other necessary biking items. It stays put and does not interfere with his knees which seems to be a problem with some of the bags. Easy open and close while biking. Good bag!